Recently, some of my clients showed interests in learning about Sangoma’s SIPStation. They wanted to know what it does and how they can benefit from it. 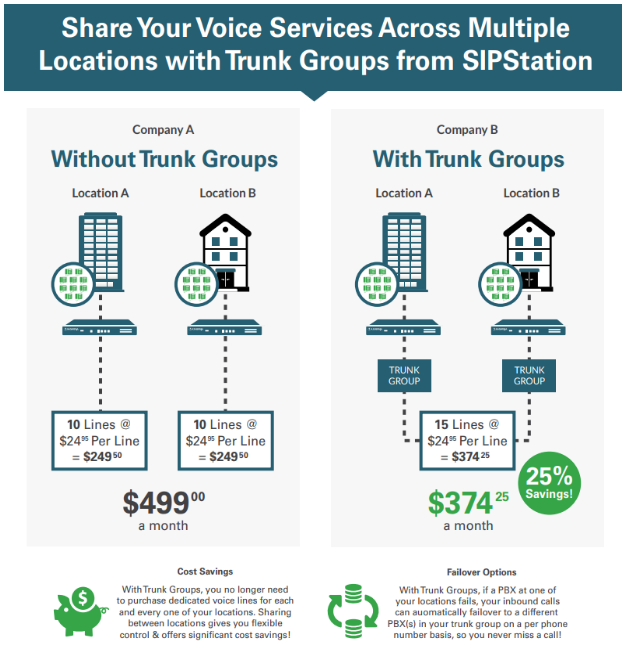 So I’d like to share this with all of you who are curious about the SIPStation or are looking for an ideal VoIP service solution. What Does the SIPStation Do? The SIPStation is Sangoma’s SIP Trunking service that provides both Canadian and USA all-sized businesses with feature-rich telephony services using just a standard Internet connection you already have. The SIPStation also allows you to port your existing phone numbers and choose the numbers you want to represent your business nationally. With the Trunk Groups, if a PBX at one of your location fails, your inbound calls can automatically failover to a different PBX(s) in your Trunk Group on a per phone number basis, so you will never miss a call! We all know that business world is dynamic and your business strategy can change at any time. With SIPStation, you are able to adjust your services at any time. No contracts required! If you are using the FreePBX and the PBXact, you would love how SIPStation comes ready with all you need to work with your system and PBX routing. With SIPStation, you will be able to send and receive faxes from a web interface or from your local fax machine with incredible reliability. Need more inbound numbers? No problem. You can add as many as you need and also port your existing phone numbers to Sangoma’s service for a simple $10 port charge and then $1 per month per DID. Is that all? Absolutely not. Every business is different and the required features/services may vary case by case. So give me a call at 716.531.4318 or email me at [email protected] and I will help you narrow down the best VoIP solutions you can pick from. Click to utilize this simple configuration tool here to estimate your phone number costs!